Go down to Starbucks, or the library, or any place known to be conducive for studying, and you'd find students plugged in to their sources of music. The truth is, research has suggested that the best way to study productively is to go at it sans music. But despite efforts to convince students against using headphones as a study tool, students are still held captive by their playlists. For some, music produces a calming effect and serves to relieve their anxiety. For others, music helps them fight against boredom and the temptation of dozing off. Regardless, if your study habits comprise plugging in to music of any kind, take note of the following things to maximise your study experience. Different subjects call for different study approaches. If you are reading academic journals and writing an essay, you'd need intense concentration, patience and diligence to take you through. Classical music in this case would make a helpful companion. Some of our favourites include neo-classical tunes such as those by Enya, where lyrics blend harmoniously with the instrumentals. However, if you need to evoke your problem-solving skills when tackling mathematical equations, a more upbeat genre such as rock or even electronic dance music would be more feasible to stimulate your brain. 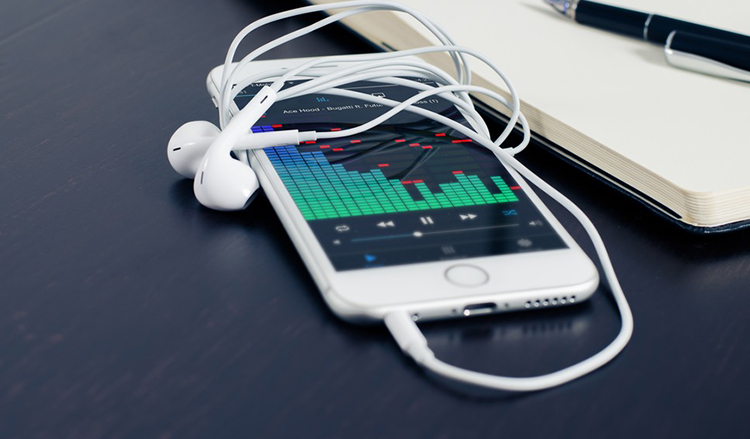 Instead of playing your library of songs on shuffle, create study playlists to minimise "downtime". Having to put your work on hold while you choose a more appropriate song will disrupt your workflow and result in wasted time. You might want to create different playlists for different subjects, with each lasting for at least 40 minutes. Of course, creating playlists is redundant if you tap on music streaming services such as Spotify, which curates songs according to music genres and categories. This allows you to find the best playlist for any endeavour, even studying. However, if you prefer studying outside of home, you don't want to deplete your mobile data while using it for hours at a stretch or rely on terribly unstable Wifi connection. Localised playlists on your phone would thus come in handy any time, any place. Movie soundtracks serve as a backdrop for scenes on screen, still enabling viewers to focus on the complexities of the scene in question. Following this line of thought, movie soundtracks make a great accompaniment for when you need to focus on your study efforts. We love anything produced by Hans Zimmer (e.g. The Dark Knight, Inception, The Last Samurai) and John Williams (e.g. Harry Potter, Jurassic Park, Indiana Jones), and, of course, who can forget the Lord of the Rings soundtrack? At the end of the day, note that whatever works for someone else may not necessarily work for you. You'd know you've made the right music choices if your music fades into the background while you study and your full attention is on your notes. If you find your music impeding your study efforts, reevaluate your song choices or study without audio accompaniment altogether.